When it comes to brands touting their heritage, there are more than a few that, shall we say, embellish the links to the past. Then you have brands like Mido who have more concrete claims underscoring a release. Take, for instance, the Mido Commander Icône. When the brand is celebrating 60 years of unbroken production of a watch line, you can take that at face value. 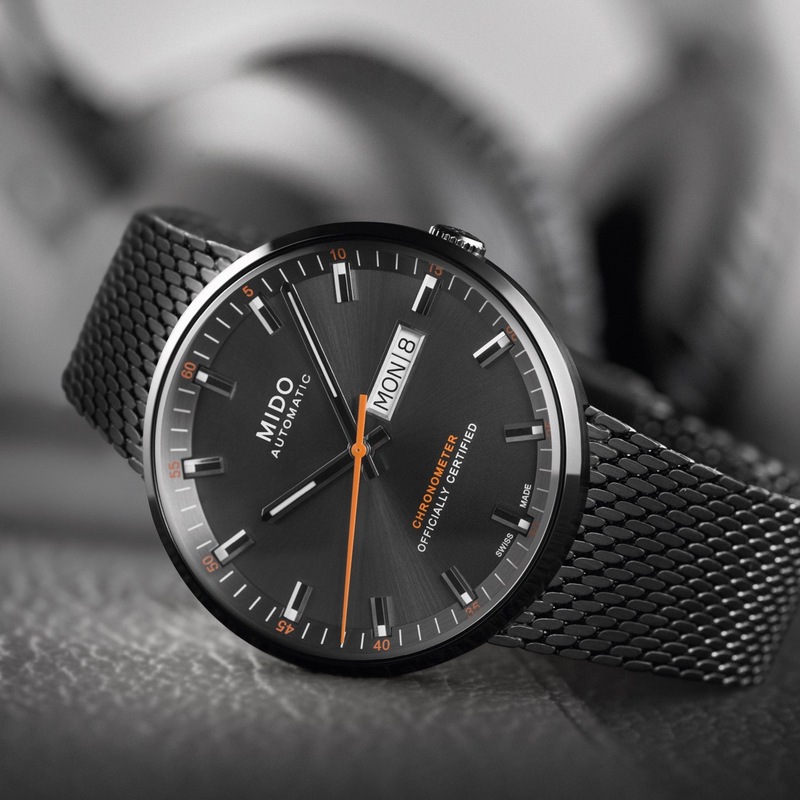 Frankly, looking at the Mido Commander Icône, it even feels like something that could have come from a neo-futuristic look of the late 50’s, early 60’s. By this, I mean that the lugless look has an aged-but-modern feel, only further enhanced and underscored by the dial design. Then again, modernity in a watch comes with the materials and movement. In this case, the Mido Commander Icône has quite a nice movement – COSC certification and an 80-hour power reserve are tags attached to this particular caliber (all the details listed down below). Movement: Automatic Mido Caliber 80 Si (ETA C07.821 base), COSC-certified chronometer, 111⁄2’’’, Ø25.60 mm, height: 5.22 mm, 2 jewels, 21,600 vph, ELINFLEX mainspring, silicon balance-spring, decorative disc with transferred Si logo on the balance bridge. Finely decorated chronometer movement with blued screws, oscillating weight decorated with Geneva stripes and Mido logo. Functions: HMSD+Day. Adjusted on 5 different positions for high accuracy. Up to 80 hours of power reserve. Hands: Flat diamond-cut, hour and minute hands with white Super-LumiNova® for easy readability at night, seconds hand entirely varnished in MIDO orange.